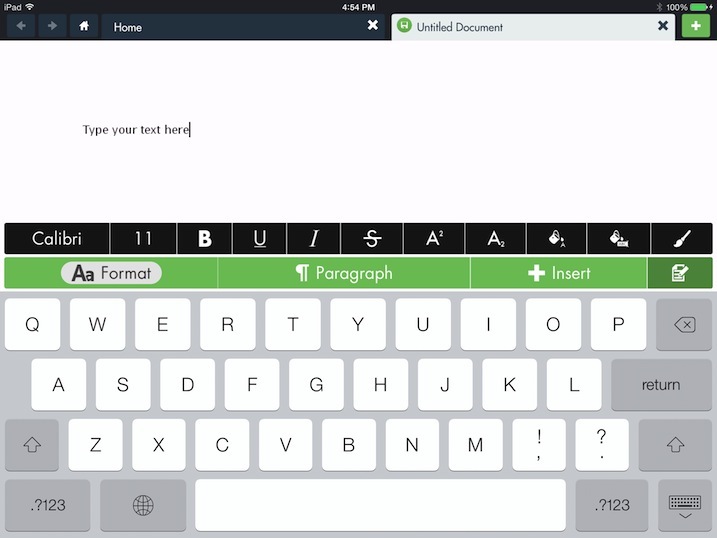 The hopTo app allows you to create Microsoft Word documents directly from within the app leveraging its intuitive interface. 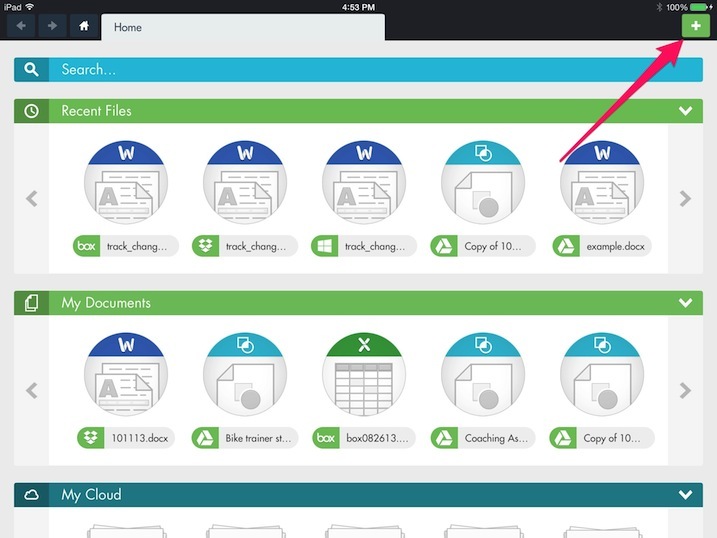 The newly created document is then saved in cloud or PC storage location that you choose. Note: If you want the new document created in a specific folder, navigate to this folder first, and then follow the steps below. When not doing so from a specific folder, the new document will be created in the default location for each file source (such as the main folder for a cloud services file source and My Documents in a PC file source). From the home screen (or from any other screen in the app), tap and hold the green plus (+) button. 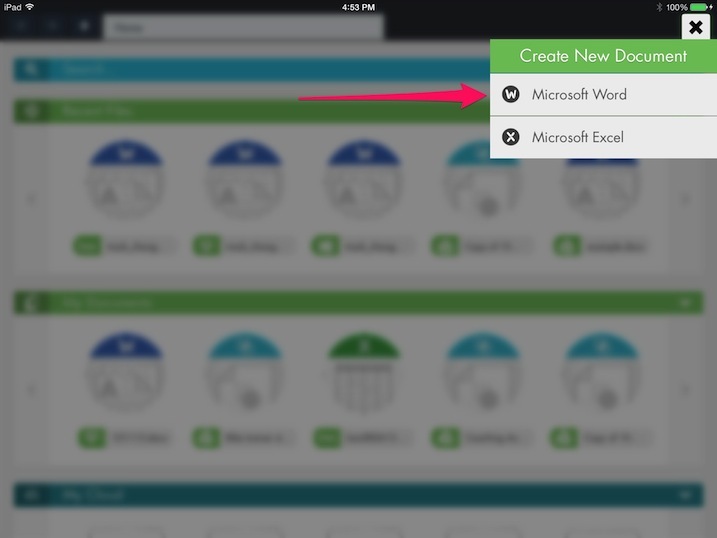 A drop-down list allows you to choose between creating a new Microsoft Excel or Microsoft Word document. Pick the Microsoft Word option. Once you choose to create a Word document, a new drop-down menu appears where you can choose a file source for the new document. A round progress bar will display until the new blank document opens in a new tab ready for editing. When ready to save your edits, collapse the keyboard to reveal the save button. The file initially will be named Untitled Document. 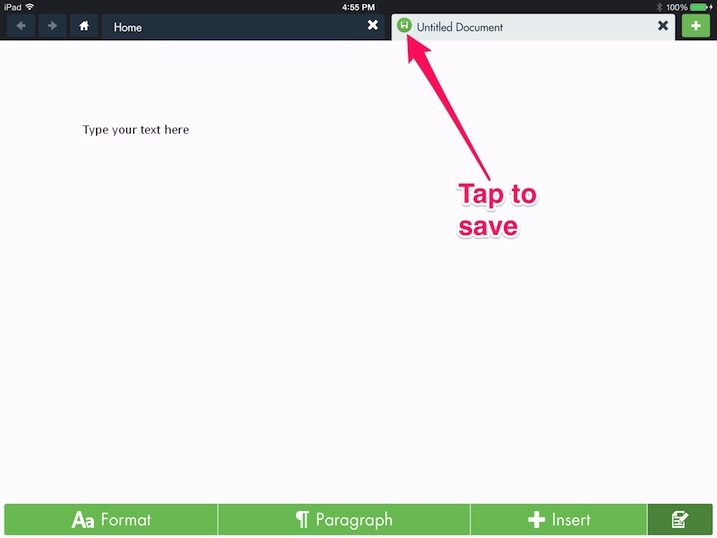 Tap the save button to save the document. Note: Editing capabilities of Word documents are described in separate articles. 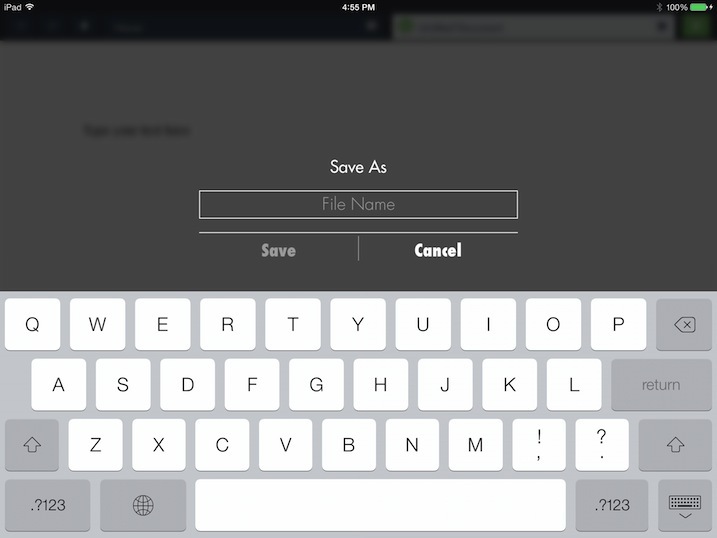 Name your file and tap Save to save your document. 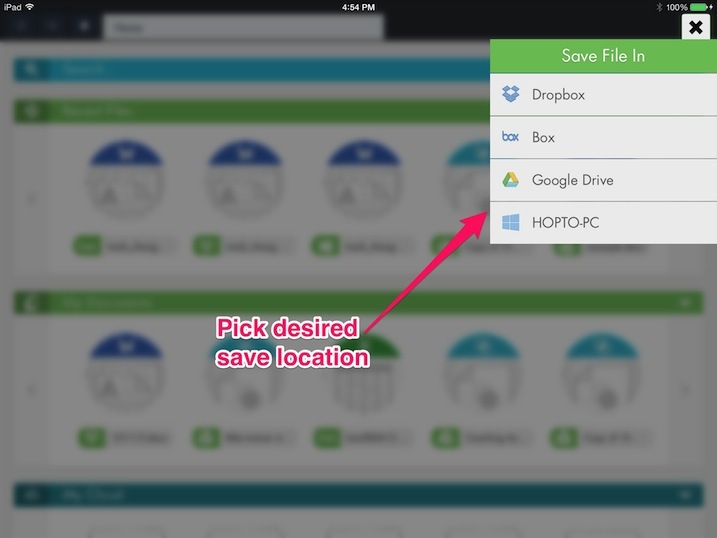 It is now available in the location you have chosen for it (see the note above regarding saving location). Are you referring to the ability to open password protected files? If not - can you explain please? any chance of having a login in password for this program on the ipad? We appreciate all feedback and taking it into account for improving our app, so thank you! lol Agreed, I had to come on here to figure out how to get out of a ppt presentation. That said, love the app! Press and hold is intuitive how exactly?